Epic Games is giving away 20 years of videogame music. 20 years is a long time for a game company to not only stay in business but also to stay relevant, so it's an anniversary worth making some noise about when it comes around. 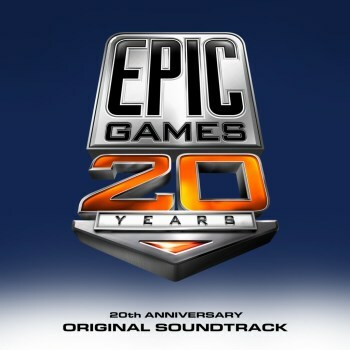 Epic Games is doing that in a very literal sense with the release of its 20th Anniversary Original Soundtrack, which is up for grabs now, absolutely free. Epic these days is most closely associated with Gears of War, but this collection has a little bit of everything, from the early days of Epic Pinball, Jill of the Jungle and Jazz Jackrabbit to Unreal Tournament, Infinity Blade, Bulletstorm and Shadow Complex. There's even an "explicit Cole Train Rap" bonus track, although what makes it a bonus as opposed to just the 21st track in the collection is beyond me. The only downside to the whole thing is that you'll have to grab each track individually, rather than snagging them up in one big, easy download, although I suppose that's kind of a plus for Tyrian fans who have absolutely zero interest in anything else Epic has ever done. And hey, they're free! So stop complaining and start downloading at epicgames.com.